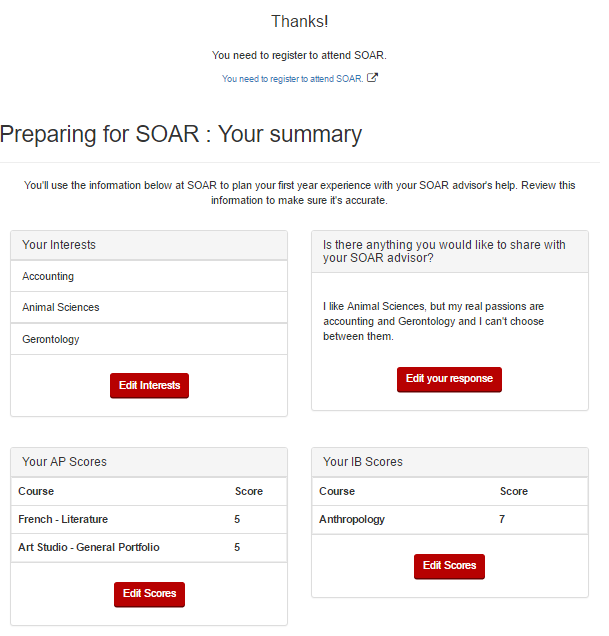 The "Preparing for SOAR" app in MyUW will walk incoming students through a basic questionnaire that will gather information about academic interests as well as AP and IB test scores. Only incoming students can access the app; applicants and students that have been admitted (but have not expressed their intent to enroll in courses) will not be able to access the app. There are four pages/steps for the app: About You, AP Scores, IB Scores, and Summary. 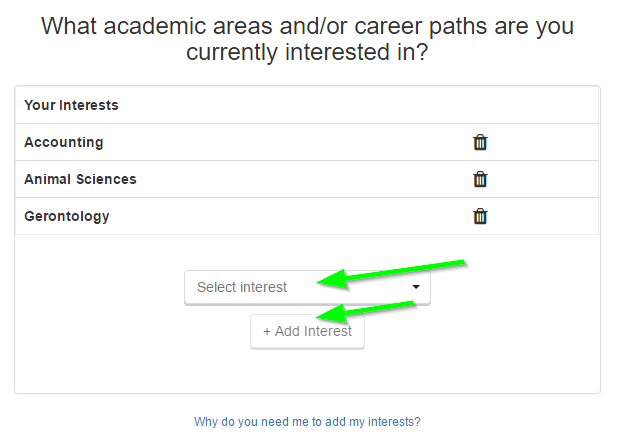 Use the Select interest drop down menu to choose an academic area or career path that you are interested in. Click the +Add Interest button to add the interest to your list. Repeat as necessary for as many fields/career paths that interest you. 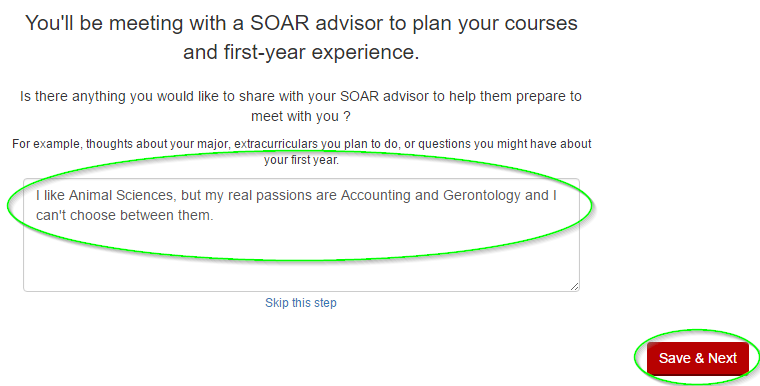 Enter any additional comments that you may wish to share with your SOAR advisor. When finished, click Save & Next. 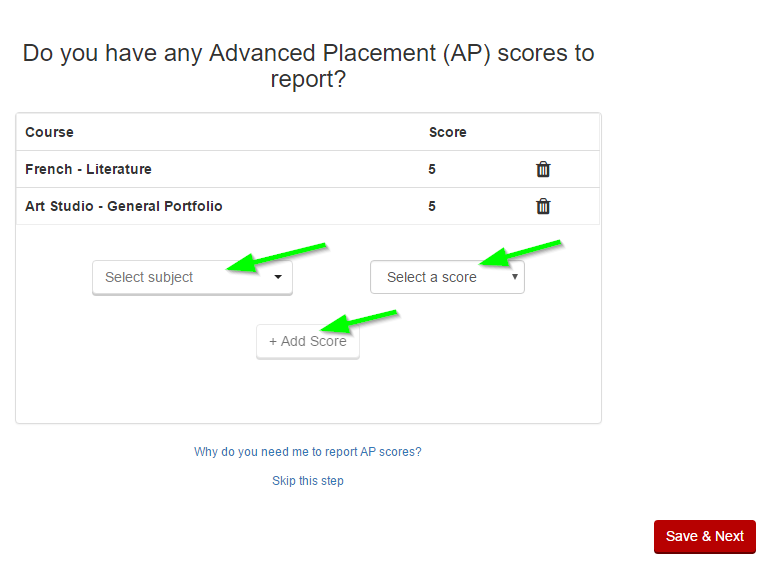 Use the Select subject and Select a score drop down menus to enter any AP tests that you have taken. Click +Add Score to add each individual test score to your list. Click Save & Next. Use the Select subject and Select a score drop down menus to enter any IB tests that you have taken. Click +Add Score to add each individual test score to your list. Click Save & Next. 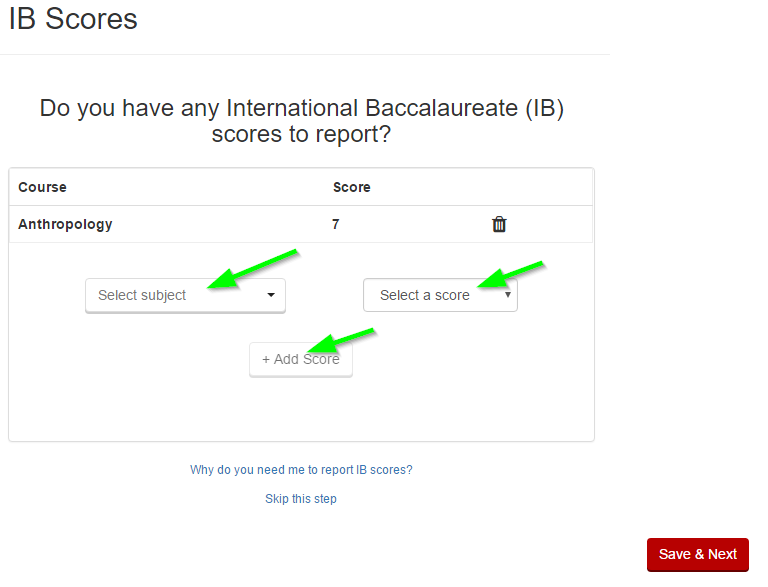 After entering IB scores, a summary page will appear. Use the Edit buttons to change responses for each corresponding section. NOTE: The summary page will contain your SOAR date if you have registered for SOAR. If not, the top of the summary will inform you that you still need to register.